Photo courtesy of the Stanley & Audrey Burton Gallery, University of Leeds. Still life has been around since the 16th century. 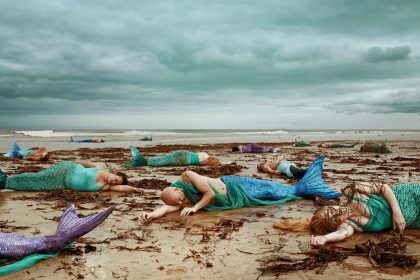 The latest exhibition at THE STANLEY & AUDREY BURTON GALLERY brings it into the present day. ROBERT KILNER reviews THINGS DEVOURING TIME. You may already have seen artworks from this exhibition dotted around the city. According to the accompanying publication the intention is to turn, ‘public streets into art gallery-like spaces,’ and break the monotony of high street advertising. Things Devouring Time aims to highlight waste and sustainability in present day consumer culture, while referencing commoditized art from past centuries. The gallery exhibition is anchored by a 366 year old still life by Willem Kalf, itself an advert for burgeoning wealth and trade in 17th century Holland. Borrowed from the National Gallery, it’s now a valuable commodity in its own right. Simon Ward’s glitchy 21st century Kindle screens are still, but fragile, with cracks and innards showing. Scraped and mashed-up images, including portraits of writers, are stuck in limbo, reminiscent of antique photographs. 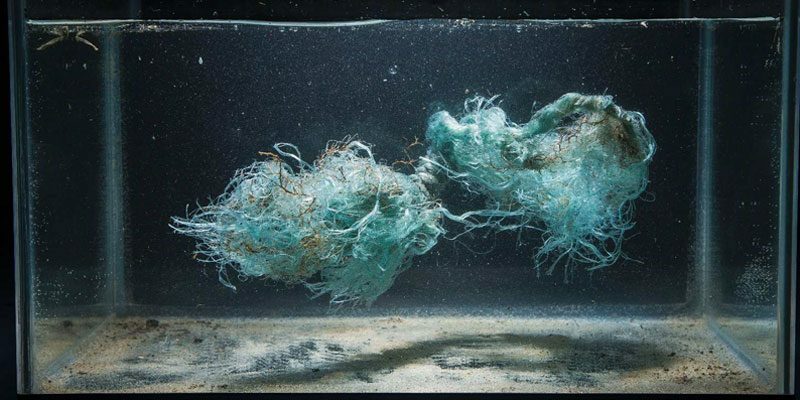 Nicole Keely’s eerily beautiful photographs of modern day flotsam and jetsam in fish tanks could be preserved medical specimens. Some resemble jellyfish, and others, bones. They seem to stare defiantly out of the frame, content in the knowledge they will outlast us. And as co-curator of the exhibition Dawn Woolley points out, items like these are not preserved because of their significance, but because they’re non-biodegradable. Dawn also has a panel of 45 photographs on show. They feature objects which could be post-apocalyptic Christmas tree decorations, from a future primitive society. The monochrome sculptures of Caroline McCarthy have a more familiar feel. Everyday containers are isolated from their identities. Removed of their contents, and branding, and placed on spot-lit glass shelving, they look like present day archaeology. As I left the gallery, the litter, and bulging wheelie bins on the paths looked different, more appealing than when I came in. It was as if art really was overflowing out into the street. 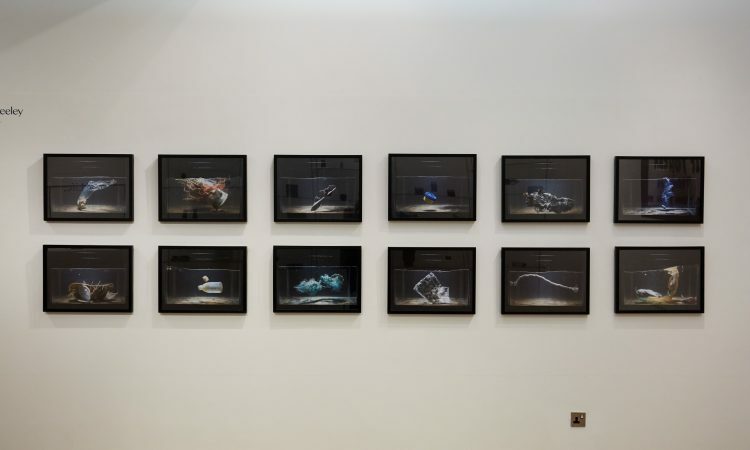 Still Life : Things Devouring Time is at the Stanley and Audrey Burton Gallery until Saturday 23rd March 2019. Details here.